After the polling closed, Chocolate Graham Crackers won out over the Cheddar Crackers! The results didn’t surprise me. I have not met many people who do not like chocolate but I do know they exist. My husband is not a big fan… this just means I don’t have to worry about him eating my chocolate… it’s a great relationship! This recipe is a sneak peek from my upcoming cookbook, “Comforting Eats: Grain-Free, Sugar-Free and Hunger-Free Recipes.” The eBook version should be completed by the first of November and the spiral version available the first of December, just in time for Christmas! I will be going NON STOP until then but I know it will be worth it! I don’t mean to confuse anyone with my extra “notes” but I get asked time and time again about substitutions so I thought I would let you know all of the variations I tried. Today I made this recipe 5 more times (10 times total), playing around with the amount of egg, butter, kind of chocolate and sweetener used. Here are some of my notes. As you know, I use Kal Stevia as my primary sweetener. 8/1/14 UPDATE: I now use Organic Trader Joe Stevia or Organic Kal Stevia in my recipes. I prefer the Trader Joe’s Organic Stevia for it’s taste because the Organic Kal can be a bit bitter. I used a small amount of coconut sugar in this recipe as well as experimented with small amounts of raw honey. The coconut sugar is optional but I used it to achieve a little extra sweetness without risking bitterness that comes from using too much stevia. Even though this is “health” food, I still want it to taste good. When I used honey instead, the crackers had a little more of a chewy texture. 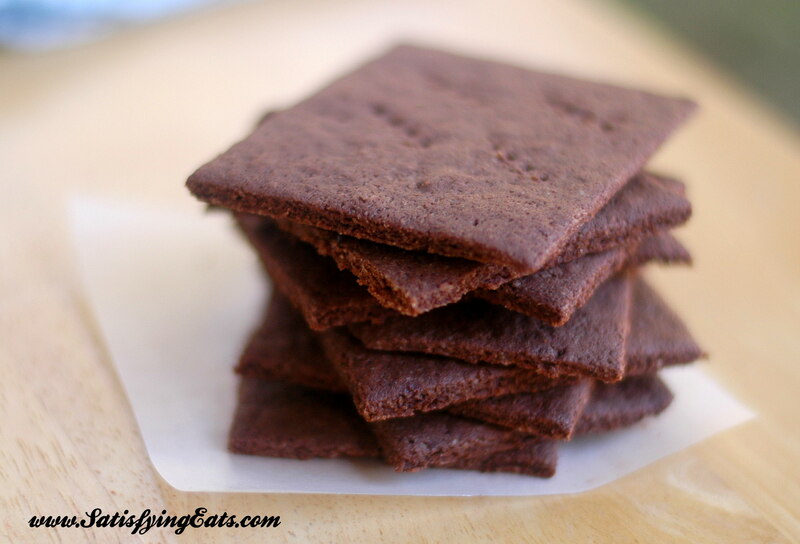 In one batch, I also omitted the chocolate all together and used 1 tbsp honey for a “sugar” cookie cracker… this is a whole new recipe but if you don’t like chocolate (Heaven forbid), you could try this variation. I normally recommend using raw cacao powder but I prefer the taste of regular unsweetened cocoa powder in these chocolate graham crackers. I made this recipe at Williams Sonoma this past weekend and I used their unsweetened chocolate (it was Dutch processed but I had to use it as part of the demonstration) and they were the best tasting. So my conclusion is use your favorite, high quality unsweetened chocolate. Also, when I omitted the egg white, the cracker was more fragile. It still held together but was more delicate. NOTE: 1 egg white is approximately 2 tbsp so if you double the recipe, you can use a whole egg white. Dairy-Free: Use coconut-oil in the place of butter. After all of the experimentation yesterday, I went back to my original recipe which was tested on many people at Williams Sonoma as well as my BFF… everyone loved them! Enjoy these chocolate graham crackers all by themselves or use the dough and make a yummy chocolate graham cracker crust for a cheesecake or even Pumpkin Pie Squares (using my Pumpkin Pie Mousse recipe). Can you think of any other uses??? My new favorite kitchen “aid” is my silicon mat. For this recipe, I simply rolled the dough out on my mat, cut the dough into strips using a pizza cutter and baked. I like using the mat because I can use it over and over and don’t go through rolls of parchment paper. NOTE: Parchment paper is not the same as wax paper. I use wax paper when something is not going into the oven but if baking, please be sure to use parchment so that the paper does not catch fire in the oven (this is bad) and it comes off the bottoms of cake pans easily without sticking. ** 2 tbsp. or more of coconut sugar/raw honey can be used instead of stevia. Form dough into ball and place in the center of silicon mat (or parchment paper). Place wax paper on top of dough and roll out dough until about 1/8th of an inch thick. Make sure dough is even thickness. The dough will be about 8X10 inches (roughly). 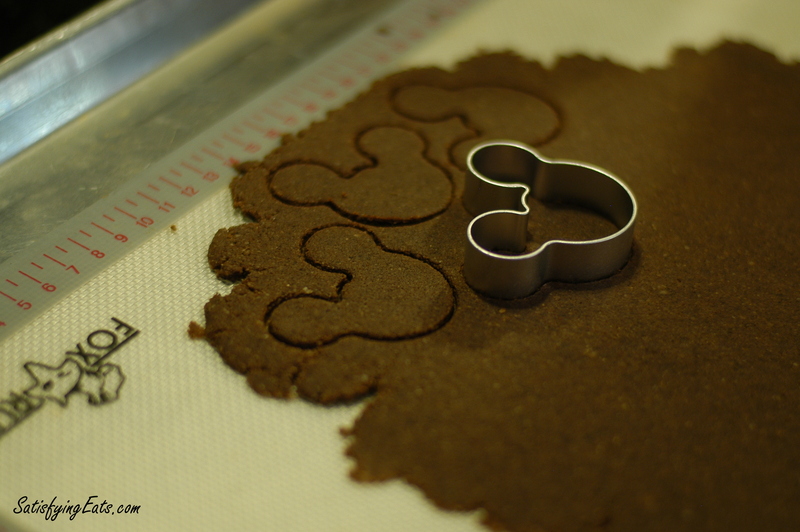 Use pizza cutter (or your favorite cookie cutter) and cut the dough into squares (or desired shape). Transfer mat to cookie sheet and bake for 10-12 minutes. Be careful not to burn. (If your oven cooks fast, don't let these go past 10 minutes). Allow to cool and break apart. Store in air tight container. « Cast your vote & stop by Williams Sonoma this Saturday for Cooking Demo! Mmm they do look delicious! Recipe looks great. I’m definitely going to try them. Thank you for all your experimentation, advice, and great recipes. It makes my choice to eat healthier easier to accomplish. I order a lot from Amazon, I will definitely click your link before ordering in the future. Thank you Julie for your kind words. I hope you enjoy the recipe and thanks so much for your support! these look great!! If you want to just have regular crackers can you just omit the cocoa powder? thanks! Celina, yes. Be sure to read my notes in the “Variations” section for more details. I hope you enjoy the recipe! These sound really good! So when is the new cookbook coming out? The cover looks quite intriguing. Thanks for another great recipe, Melissa. Peg, the eBook should be out in 2-3 weeks and the spiral bound before Christmas! I hope you enjoy! What are your thoughts on how safe silicone is to use? I like the idea of the ease of use, but am trying to use nothing plastic. I have no idea what silicone is or if it’s safe to cook with? You said to see your variations for “regular” graham crackers. Where are those listed? Just curious why you add a small amount of coconut flour to the almond flour? Linda, it’s all about the right texture. When using almond flour, I typically use small amounts of coconut flour as well. The 2 flours have such different properties but make a wonderful marraige! 😉 HTH! Melissa, what would the result be if I just used a whole egg rather than the egg whites? Would they still come out? Karen, if you add the whole egg, they won’t be as hard like a graham cracker but if you double the recipes, feel free to use the whole eggs! Same thing goes for my chocolate chip cookie recipe. My daughter has an allergy to tree nuts and peanuts, problems with gluten as well. Would a GF flour work in place of the almond flour? I’m wondering if it would be a straight trade off or if I would need a little extra GF flour in place of almond flour. Thanks! I just made these crackers a couple days ago and they are GREAT! One flavour that I’ve always loved as a kid was Cookies & Cream. Going wheat-free and sugar-free prevents me from eating a Hershey’s cookies & cream chocolate bar but I’m not complaining. I am not attracted to all of the artificial and unhealthy ingredients. YUCK! But after finding this recipe, I was so uplifted! As it is my 16th birthday on Tuesday, I asked my mom if she could prepare a cookies & cream cheesecake using these crackers as the crust and of course using your “Famous cheesecake” recipe. I am looking so forward to trying it! Thank-you for facilitating healthy eating.. and “cheating”. Annick, I’m glad you enjoyed the chocolate graham crackers! For 16 years old, you sure have a lot more knowledge than most adults I know! Good luck and keep cookin’ and eating well! I really love all of your recipes!, especially the ones with grass fed gelatin! and I hope you will have even more grass fed gelatin recipes. I haven’t been getting your newsletter lately, miss your new recipes. Has anyone tried these for s’mores? I know that there will be plenty of sugar from the marshmallow, but if using dark chocolate and these graham crackers, they wouldn’t derail me as much for a vacation indulgence. Going to try a batch this week and will report back. Thanks for all the awesome ideas, I was just beginning to feel overwhelmed at my lack of creativity for being both grain and sugar free. Can’t wait to get cooking again!! 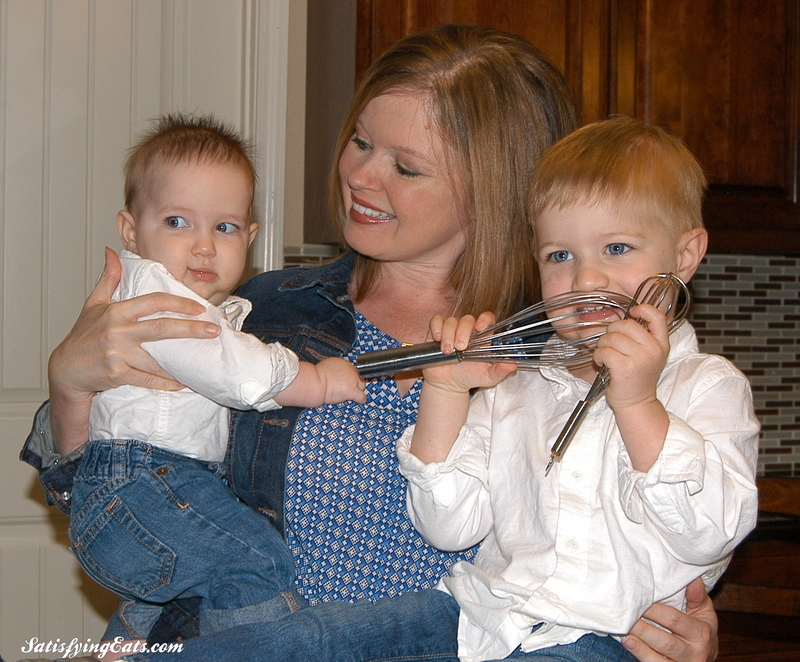 I love your blog and have made tons of your recipes with great success and happy tummies in our family. I currently have a medical condition which requires me to avoid all sugars except Stevia and xylitol. I notice that you do typically add coconut sugar along with Stevia but have not yet seen any recipes using xylitol. I find it tastes much like sugar. Would you be willing to experiment with this ingredient? Brenda, the cheese crackers or “Savory Crackers” recipe is in the Comforting Eats Cookbook. Is that what you are talking about? yes, those are the ones I’m talking about…I have your 1st book but I cant find it in there. I made them a couple times a year ago. but cant remember the temp settings & length of time..